Drug addiction and abuse have been a hot topic lately. Personally, my body does not metabolize medication very well so I am left with very few options to treat my conditions. After failed treatments for narcolepsy and more health problems, I became disabled at the young age of 35. This was not the plan and I was mad to say the least. I played the victim to my illness for too many years than I like to admit. In 2016, I received an email from the Narcolepsy Network (NarcolepsyNetwork.org) that I was invited to a Narcolepsy Meet up in Chicago, just an hour away from me. I decided to go, after all it was a free night in a swanky hotel in downtown Chicago, who would’nt, right? I met two phenomenal women at this event from Global Genes that sparked a fire in me. Kendall Davis and Carrie Ostrea (now Ostrea Consulting), befriended me and encouraged me to begin advocating as a means to not only help myself but to help others. One of my biggest frustration was the stigmas attached to my invisible illness that even the medical community bought into. In my “prior life”, before narcolepsy, I managed a 77 chair dental clinic and had a successful real estate career, I was very ambitious. Playing the victim had gotten old and I was ready to move on, I just didn’t know how to until then. I started attending conferences across the country on advocating for narcolepsy and rare disease as a whole. I met some AMAZING people whose strength in adversity overwhelm me. This is my new purpose and it was very clear to me. I enrolled in a leadership training course, Rising Voices of Narcolepsy, under the talented Julie Flygare. I graduated and now speak publicly as a narcolepsy advocate. I have become the programs mentor as well, helping others to find their voice. I advocate on social media and connect with others that are struggling with acceptance of their new “normal”. I attended Rare Disease week on Capital Hill just last month, what an awesome experience! 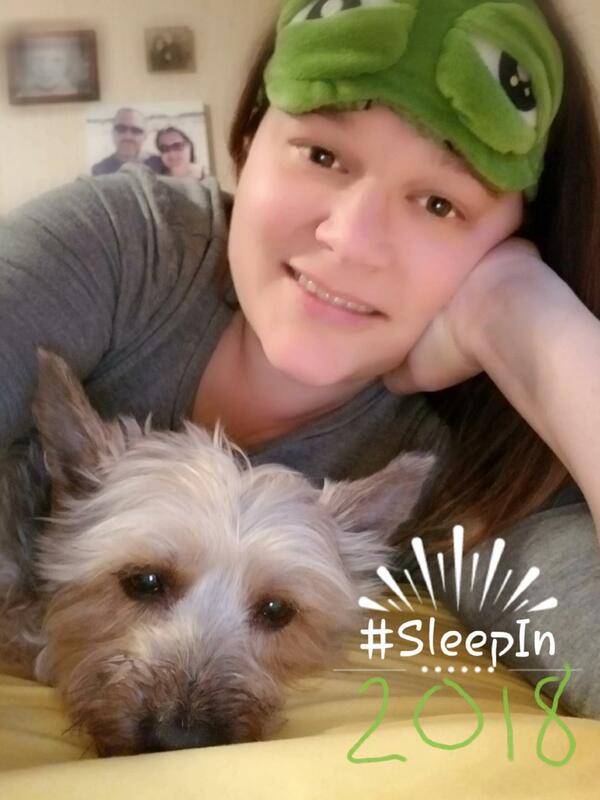 I held a pajama party for narcolepsy awareness just a few short weeks ago and spammed social media with #SleepIn2018 and #SuddenlySleepySaturday (sorry, not sorry, lol). I have re-started a support group in my home town and I’ve been speaking at nursing schools in my area and anywhere else that I can. I am part of an amazing Rare Advocacy Movement, empowering patients to make change happen. With over 7000 rare diseases, only 5% have a treatment! Rare disease affects 30 million people collectively in the U.S. alone, that’s not very rare at all! I’ve shifted my role from victim to survivor, and became a fighter! I can see now how God has used even my darkest moments on this journey to prepare me for this “divine assignment”, as a dear friend put it. I am addicted to advocating because it has been therapeutic for me in ways no prescription drug has ever been. It has filled a void, lifted my spirits, given me purpose and passion again. For me, to help others, is a drug I will gladly take everyday! I was diagnosed with the misunderstood and rare disease narcolepsy in 2010, and it changed my life. In 2016, I chose to move on from being a victim of my illness to being a survivor and fighter. I now advocate for others. My goal is to help others find and accept their new "normal" in life after a rare diagnosis. I also desire to raise awareness, break down stigmas and influence change in healthcare for the better of all rare patients.